Wales are debuting in the Junior Eurovision Song Contest, as S4C launches their selection process for this years contest in Minsk, Belarus. 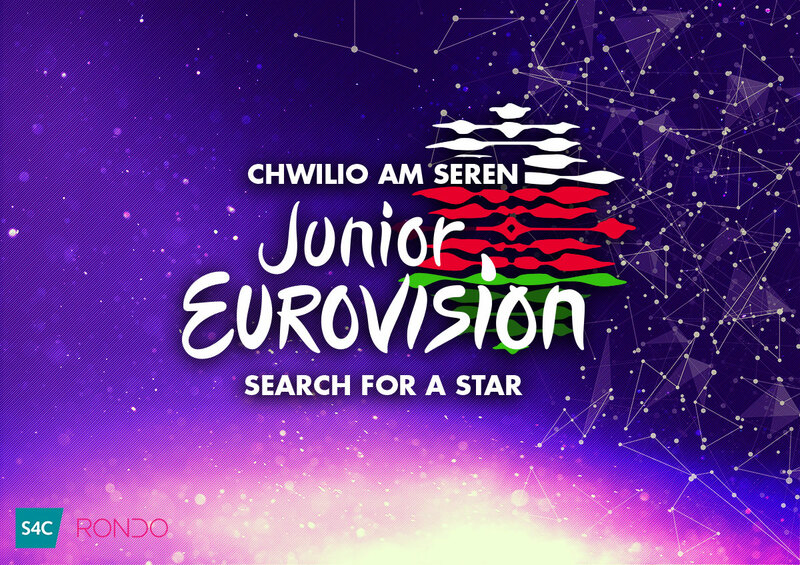 Wales has launched Chwilio am seren (Search for a Star) to find their first ever participant in the competition. The competition is open to individuals or groups (maximum of 6 members) between the ages of 9 and 14 on the 25th of November 2018. Singers will have to perform in Welsh and the selection will be launched with with open auditions around Wales. On Wales’ debut year, we’re looking to make a BIG impression! Last year, 16 nations competed in the Junior Eurovision Song Contest and the numbers exceed it for 2018. And so we’re casting our net wide in the search of the best talent in the country. We want to see the very best of the best that Wales has to offer! 12 acts will then be selected to move on to the mentoring stage to develop their skills in the company of our three experienced mentors and performing coaches. The best 6 acts will then compete in the live national final in which a panel of experts and the viewing public will choose the best individual or group to fly the flag for Wales at the Junior Eurovision song contest in November. I can’t help but get excited when I think about the opportunity available for our youngsters to represent Wales at the Junior Eurovision Song Contest. We are extremely proud that we’re able to offer the experience of performing on a stage unlike any other in Wales. This event leaves both the X-Factor and Britain’s Got Talent in the shade – it’s even bigger than the National Eisteddfod! Come November, Europe’s eyes will be fixed on Minsk with Wales, the Red Dragon and the Welsh language in the thick of it. This is a source of immense pride for me and for S4C. Are they gonna participate as ‘Wales’ or will it be as ‘United Kingdom’? Does this mean that in the future, Wales could take part in adult Eurovision? As well as Scotland and Northern Ireland? Also possibly Isle of Man and Gibraltar? Hi! I’m from Wales and no that won’t be possible because the BBC has the last say. If they enter then it means Wales can’t because you can’t have Wales and the UK competing concurrently. Wales is a country with its own history, government, language and culture but it is in a union with England and Scotland and Northern Ireland which forms the United Kingdom. It is still possible that Wales and Scotland and England could send separate entries but England would be a big 5 country and Wales and Scotland would have to compete in the semi finals. You will also have a problem of all the constituent UK countries sharing the same +44 dialling code so it would be hard to separate the voting. Who would say England would be in the Big 5? I thought the united kingdom supposed to be formed of four EQUAL countries. If the BBC withdraw, that would mean that those countries could take part yes.